There are truths of the holy faith which, seemingly, are known and frequently mentioned, however, they are neither well understood nor lived. That was my experience as regards the truth of Divine Mercy. So many times did I think about this truth during meditations, especially during retreats, so many times did I speak about it during sermons and so many times did I repeat this truth by saying liturgical prayers. However, I did not penetrate its meaning and importance to spiritual life. Especially, I did not understand, and even could not agree, that Divine Mercy is the greatest attribute of the Creator, the Redeemer and the Sanctifier. A soul, simple, pious and closely united with God was needed who – under Divine inspiration, as I believe, told me about this and spurred me to study, do research and ponder over the subject. The late Sister Faustina (Helen) Kowalska was this soul from the Congregation of the Sisters of Our Lady of Mercy. She achieved something slowly: today I consider Divine Mercy worship and, especially, the institution of the Feast of Divine Mercy on the first Sunday after Easter one of the main goals of my life. I met Sister Faustina in summer (July or August) 1933, when she was a penitent in the Congregation of the Sisters of Our Lady of Mercy in Vilnius (25 Senatorska Street), in which I was the regular confessor then. She drew my attention because of her unusually subtle conscience and close union with God: most of the time there was nothing to absolve her from and she never offended God by a mortal sin. At the very beginning she told me that she had known me for a long time because of a vision. She also told me that I was to be her spiritual director, who was to fulfil some of God’s plans which were to be conveyed by her. I ignored what she had told me and I put her to a test which, with the Superior’s permission, made Sister Faustina look for another confessor. After some time she came back to me and said that she would endure everything but she would not leave me any more. Here, I cannot repeat or rather reveal all the details of our conversation, whose part can be found in her diary, which she wrote at my request, because after that I forbade her to speak of her experiences during confession. Coming to know Sister Faustina more I concluded that the work of the gifts of the Holy Spirit in her was hidden, however, at certain fairly frequent moments the gifts were more visible and partly endowed her with intuition which took strong possession of her soul, roused up motivations of love to make lofty acts of sacrifice and self-denial. Especially frequently the gifts of knowledge, understanding and wisdom were evident in her. Thanks to them Sister Faustina clearly saw the worthlessness of earthly things and the importance of suffering and humiliation; she came to know God’s attributes, especially His infinite mercy, directly, she sometimes fixed her gaze upon the inaccessible light which makes people happy and for some time she kept her eyes on it. From the light the figure of Christ, in a walking position, blessing the world with the right hand and lifting the garment exposing His heart with the left one emerged. From beneath the lifted garment two rays gushed forth – a white one and red one. For a few years Sister Faustina had had visions like this one and she had also corporeal and intellectual ones. She had heard many supernatural words – captured by the sense of hearing, imagination and mind. For fear that Sister Faustina’s was having delusions, hallucinations and fantasies I asked Sister Superior, Mother Irene, to tell me who Sister Faustina was, what the sisters’ and superiors’ opinion of her was and to examine her mental and physical health. When all the opinions turned out in Sister Faustina’s favour, I still deferred for some time. I could not quite believe it all; I prayed, pondered over and examined this. Not revealing what and who it was about, I also asked a few knowledgeable priests what should be done. And it was about fulfilling the Lord Jesus’ alleged firm demand for painting the image that Sister Faustina saw and for instituting the Feast of Divine Mercy on the first Sunday after Easter. Finally, because I was curious what the image would be like rather than I believed that Sister Faustina’s visions were true, I decided to start having the picture painted. I spoke to Eugeniusz Kazimierowski, a painter who lived in the same house as I did, who took up painting the picture for a sum of money. I also spoke to Sister Superior, who allowed Sister Faustina to visit the painter twice a week in order to describe the image. The work was done for a few months and, finally, in June or July, 1934, the picture was finished. Sister Faustina complained that the image was not as beautiful as her vision but Lord put her at ease saying that it was enough the way it was. He added: “I am offering people a vessel with which they are to keep coming for graces to Me. That vessel is this image with the signature: ‘Jesus, I trust in You’”. At that time Sister Faustina could not explain what the rays in the picture denoted. After a few days she said that when she had been praying the Lord Jesus had explained that to her in the following way: “The two rays in the image denote Blood and Water. The pale ray stands for the Water which makes soul righteous and the red ray stands for the Blood which is the life of souls. They gush forth from My Heart, which was opened on the Cross. These rays shield souls from the wrath of the Heavenly Father. Happy is the one who will dwell in their shelter, for the just hand of God shall not lay hold of him… I promise that the soul that will venerate this image will not perish. I also promise victory over its enemies already here on earth, especially at the hour of death. I Myself will defend it as My own glory… I desire that the first Sunday after Easter be the Feast of Divine Mercy. Whoever receives the Sacrament of Love on this day will be granted remission of all sins and punishment… Mankind will not have peace until it turns with trust to God’s Mercy. Before I come as a just Judge, I am coming as the King of Mercy, so that nobody may find an excuse on the day of judgment, which is not far…” etc. It was a picture with a new content, therefore I could not display it in a church without the Archbishop’s consent. I was embarrassed to ask him for that and, even more, to explain its origins. Therefore, I put it in a dark corridor next to Saint Michael’s Church (in the Observatine Convent), whose rector I had been appointed. Sister Faustina foretold me the difficulties pertaining to the stay at the church and, indeed, unusual events developed fairly fast. She demanded that I put the image in the church, whatever the cost, however, I was not in any hurry to do that. Finally, in 1935, during Holy Week, she told me that the Lord Jesus demands that for three days I put the image in Ostra Brama (the “Dawn Gate”), where there was to be the Triduum marking the close of the Jubilee Year of the Redemption of the World, which was to take place on Whit Sunday, on the day of the planned feast. Soon after I came to know that the Triduum would take place and the parish priest of Ostra Brama, Canon St. Zawadzki, asked me to deliver a sermon. I agreed to do that on condition that the image be put up to decorate the window of the arcade, where it looked impressive and drew everybody’s attention more than the picture of Our Lady. After the service the image [of the Merciful Jesus] was put in its previous place, where it was hidden for two more years. Only on the 1st April, 1937, did I ask His Excellency the Metropolitan Archbishop of Vilnius to hang the image in Saint Michael’s church, where I was still Rector. His Excellency the Metropolitan Archbishop said that he did not want to make the decision himself and he added that he would tell a committee that was to be set up by the Reverend Canon Adam Sawicki, the chancellor of the Curia, to examine the image. The chancellor ordered that the picture be put in the sacristy of Saint Michael’s church on the 2nd April  as he did not know what time it would be examined. Busy working in the Seminary and at the University, I was not present when the image was examined and I do not know the make-up of the committee. On the 3rd April, 1937, I was notified by His Excellency the Metropolitan Archbishop of Vilnius that he had already had detailed information about the image and that he gave his permission to bless it and hang it in the church on condition that it was not hung on the altar and that nobody was told where it had come from. On that day the image was blessed and hung next to the high altar, on the side where the lesson was read. Several times it was moved from that place to the Saint Francis’ parish (that used to Saint Bernard’s church) in order to be put on altars which were prepared for Corpus Christi processions. On the 28 December, 1940, the image got a bit damaged when it was being moved by the Observant Sisters to another place, and in 1942, when they were arrested by the German authorities, it got back to the old place, where it has been greatly worshipped and decorated with numerous votive offerings by the faithful. A few days after the Triduum in Ostra Brama Sister Faustina told me about what she had experienced during the ceremony, which is described in detail in her diary. Then, on the 12 May, she saw the dying Marshal J. Piłsudzki in spirit and she told me about his great suffering. She claimed that the Lord Jesus had showed that to her and that He had said: “Look, this is how the greatness of this world ends”. Then she saw when the Marshal was judged and when I asked what the verdict was, she replied: „It seems that, through the intercession of Our Lady, Divine Mercy won”. Soon after the great difficulties (pertaining to my stay at the Saint Michael’s church) which had been foretold by Sister Faustina, started. They were greater and greater and, in January 1936, reached their climax. I told almost nobody about these problems and only on the critical day did I ask Sister Faustina for prayer. To my great surprise on the very same day all the difficulties disappeared. Sister Faustina said that she had taken upon herself all my suffering and she had never experienced it as much as on that day. When in the chapel she asked the Lord Jesus to help her, she heard the following words: You decided to suffer instead of him and now you flinch? I bestowed on you only a part of his suffering. Then, extremely precisely, she described to me the reason of the difficulties, which, as she claimed, had been revealed to her in a supernatural way. The accuracy was really striking, especially that it was impossible for her to come to know about the details herself. There were a few cases similar to that one. In mid-April, 1936, on General Superior’s order Sister Faustina went to Walendów and, later, to Cracow, while I pondered over the idea of God’s Mercy and started to look for confirmation that, as Sister Faustina said, this is God’s greatest attribute. I began to look for it in the writings of the Fathers of the Church as I had not found anything about it in the works of theologians that lived later. I was delighted to discover that Saint Fulgentius, Saint Ildep- honsus and, especially, Saint Thomas and Saint Augustine wrote something similar. Saint Thomas and Saint Augustine wrote most about this. The last one – Saint Augustine – in his commentaries on the Psalms – discussed Divine Mercy at great length, and wrote that this is God’s greatest attribute. Then I had no more grave doubts about the supernatural nature of Sister Faustina’s revelations and started to have occasionally some articles on Divine Mercy published in theological magazines, justifying the need to institute the Feast of Divine Mercy on the first Sunday after Easter rationally and by arguments for it as found in the liturgy and, in June, 1936, in Vilnius I had the first brochure ‘Divine Mercy’ with the image of the most merciful Christ on the cover published. First of all, I sent it to Their Excellencies Bishops gathered at an episcopal conference in Częstochowa, however, none of them replied. In 1947 in Poznań I had a second brochure published. It was entitled ‘Divine Mercy in the Liturgy’ and in a few theological magazines I read its reviews, which, in general, were very good. I also had some articles published in Vilnius dailies but nowhere did I reveal that Sister Faustina was the ‘causa movens’. In August, 1937, I visited Sister Faustina in Łagiewniki and in her Diary I found the novena to the Divine Mercy, which I liked very much. I asked her where she had it from and she replied that Lord Jesus Himself had dictated it to her. Even earlier she claimed that Lord Jesus taught her the chaplet to Divine Mercy and other prayers which I decided to have published. On the basis of some expressions found in prayers I composed a litany about Divine Mercy which, together with the chaplet and the novena, I gave to Mr Cebulski (Cracow, 22 Szewska Street) in order to obtain ‘Imprimatur’ in the Cracow Curia and to have the prayers printed with the image of Divine Mercy on the cover. The Cracow Curia gave the Imprimatur number 671 and in October the novena along with the chaplet and litany appeared in bookshops. In 1939 I imported a certain number of the pictures and novenas to Vilnius and after the war broke out and the USSR armed forces entered the country (19 September, 1939) I asked the permission of His Excellency the Metropolitan Archbishop of Vilnius to distribute the prayers along with information about the origin of the image. The Archbishop said that he consented to it and then I started to spread private devotion to the image as well as distribute the prayers which had been written by Sister Faustina and approved in Cracow. When the Cracow edition was out of print I had to typewrite the prayers and when I could not manage to typewrite enough of them because they were in great demand I asked the permission of the Curia of Vilnius to have them reprinted and, on the first page, to add an explanation of the meaning of the image. I was granted the permission signed by the censor – the Rev. Prelate Leon Zebrowski on the 6th February, 1940, as well as by His Excellency the Bishop Suffragan Kazimierz Michalkiewicz and the Notary of the Curia – Rev. J. Ostrejka on the 7th February 1940 – number 35. As early as during her stay in Vilnius Sister Faustina said that she felt an urgency within herself to leave the Congregation of Our Lady of Mercy in order to found a new religious congregation. I considered the urgency a temptation and I advised her not to take it seriously. Later, in her letters from Cracow, she continued to write about the urgency and, finally, her new confessor and General Superior consented to her leaving the congregation on condition that I agree to that. I was afraid to take responsibility for that and I answered that I would agree only if the confessor from Cracow and General Superior not only allowed but also ordered her to leave. Sister Faustina was not told to do so and because of that she found herself at peace and stayed in her Congregation to her dying day. In mid-September 1938 I came to a Conference of Theology De- partments in Cracow and visited Sister Faustina in the infectious diseases hospital in Prądnik, where she was already prepared to die. During the week I visited her and one of the subjects that we talked about was the congregation which she wanted to found and the fact that in spite of that she was dying. I stressed that maybe that matter was an illusion and that everything else she had spoken about might also be an illusion. Sister Faustina promised to talk about it with the Lord Jesus during prayer. The following day I celebrated a holy Mass for the intention of Sister Faustina during which it came to me that as she could not paint the image herself but only describe it, similarly, she could not found a new congregation either but she gave general instructions solely, and that the urgencies meant that it was necessary to found the new congregation in the future. When I went to the hospital later and asked if she wanted to say anything about that matter she replied that it was not necessary for her to speak because the Lord Jesus had already given me the light during the Holy Mass. Then she added that my main task was to make efforts so that the Feast of Divine Mercy was instituted on the first Sunday after Easter. She said that I should not focus too much on the new congregation and that thanks to some signs I would come to know who should deal with this matter and what he or she should do. She told me that on that day on the radio I had not delivered the sermon with a completely pure intention (indeed, it was true); that, as regards this whole matter, I should strive mostly after the pure intention; that she saw that I would take vows from six first candidates for the congregation in a little wooden chapel at night, that she would die soon; and that she had already said and written everything that she was supposed to say or write. Before she had described the little church and the house of the first congregation and grieved the destiny of Poland, which she loved very much and for which she frequently prayed. Following the advice of Saint John of the Cross I almost always treated what Sister Faustina said detachedly and I did not ask her about the details. In this case I did not ask her either: you grieve so much the destiny of Poland so what will happen to the country? She did not tell me that herself but only sighed and hid her face in the hands because of the horrific image that she probably saw then. Almost everything that she foretold as regards the congregation came true – extremely precisely – and when in 1944, on the 16th November at night, I took private vows from the first six candidates for the congregation in the wooden chapel of the Carmelite Sisters in Vilnius or when three years later I came to the first house of the congregation in Myślibórz, I was amazed by the striking similarity of what I saw to what the late Sister Faustina had told me. She also, in a fairly detailed manner, foretold the difficulties and even persecutions that I was to experience as regards the spread of devotion to Divine Mercy and efforts to institute the feast bearing the same name on Low Sunday (it was easier to endure all of that being convinced that since the beginning this had been God’s will). On the 26th of September she told me that she would die in 10 days’ time and she passed away on the 5th October. I could not come to the funeral because of lack of time. What should be thought about Sister Faustina and her revelations? As regards her natural disposition, she was a completely stable person, without a hint of psychoneurosis or hysteria. Naturalness and simplicity characterized her relationship with the sisters in the Congregation and outsiders. There was no artificiality, theatricality or affectation about her. She did not want to draw attention to herself at all but, on the contrary, she tried not to stand out and she told only her confessor and superiors about her interior experiences. Her emotionality was normal, controlled by will and it did not reveal itself easily by changing moods or emotions. She did not have any psychological depression and she did not become upset when she failed but she endured the failures calmly, with subjection to God’s will. As regards her intellectual capabilities, she was sagacious and distinguished herself by the ability to form a sound opinion of things although she was almost not educated at all: she could hardly read and write – with mistakes. She gave the other sisters accurate advice when they asked her for it and, several times, I put her to tests – I told her about certain doubts which she dispelled very well. Her imagination was fertile but it was not effusive. Especially as regards past memories, she frequently could not distinguish what she imagined from what was a supernatural action. However, when I drew her attention to this and told her to underline in her Diary only what she could swear that, for sure, it was not a figment of her imagination, she left out a lot of her past memories. As far as her morality is concerned, she was completely sincere, without the slightest exaggeration and trace of lies. She always told the truth although sometimes it hurt her. In 1934 in summer I was away for a few weeks and Sister Faustina did not tell other confessors about her experiences. On my return I came to know that she had burnt her diary – she claimed that an angel had come and ordered her to throw it to the stove saying: „You are writing nonsense and, because of you, you yourself and others can get into serious trouble. What do you have to show for the mercy? Why do you waste your time writing about some hallucinations? Burn all of that and you will be calmer and happier!” etc. There was no person that Sister Faustina could seek advice from and when she had the vision again she did what the alleged angel had told her to. Then she realized that she had done the wrong thing, she told me about everything and carried out the order to write down everything anew. As regards supernatural virtues, she made clear progress. Although since the beginning I had seen that she was grounded in the virtues of chastity, humility, zeal, obedience, poverty and love for God and neighbour and that the virtues had been tested already, still it could be easily noted that they developed steadily. Especially at the end of her life the love of God, which she revealed in her poems, grew. Today I do not remember what they were about exactly, but, I recall that when I read them out in 1938 I was delighted with their content (not the form). Once I saw Sister Faustina in a state of ecstasy. It was on the 2nd September, 1938, when I visited her in the hospital in Prądnik and I said good-bye to her – I was going to Vilnius. Having taken a couple dozen steps I realized that I brought her a few dozen prayers about Divine Mercy (the novena, litany and chaplet) which had been written by her and published in Cracow. Immediately I went back in order to give them to her. When I opened the door to the room where she was I saw her engulfed in prayer. She was sitting, but she was almost levitating over the bed. Her eyes were fixed on an invisible object, and her pupils slightly dilated, for some time she did not take any notice of me, and I did not want to disturb her and was intending to leave, but soon she came round, noticed me and apologised for not hearing me knock or enter. I gave her the prayers and said good-bye, and she said, „See you in heaven! '” The last time I visited her, on 26 September in the Łagiewniki Convent, she did not want to talk to me, or perhaps she couldn’t any longer, saying: „I am in communion with the Heavenly Father”. Indeed she gave the impression of a supernatural being. I no longer had any doubts that what she wrote in her diary about Holy Communion being administered to her in hos- pital by an angel was absolutely true. As regards the subject of Sister Faustina’s revelations, there is nothing about it that would be against the faith or decency or that would pertain to conflicting opinions of theologians. On the contrary, the aim of all of that is to come to know and love God more. „The image has been painted artistically and it is a valuable contribution to contemporary religious art”. (the Committee’s report on the evaluation and maintenance of the Most Merciful Saviour’s image in Saint Michael’s Church in Vilnius, dated 27th May 1941, sig- ned by the experts: Prof of History of Art, Dr M. Morelowski; Prof of Dogmatic Theology, Rev. Dr L. Puciata; and Conservator – Rev. 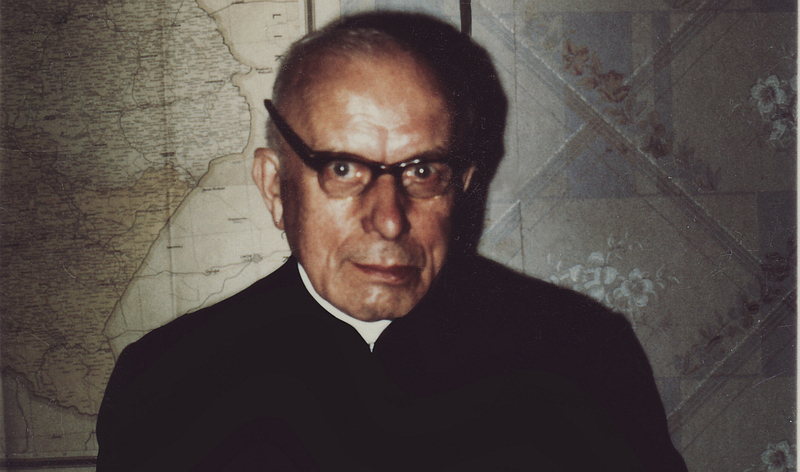 Dr P. Śledziewski). The private devotion to Divine Mercy (in the form of the novena, chaplet and litany) as well as the public one (in the form of the planned feast) is not only not contrary to the dogmas and the liturgy at all but also it aims to explain the truths of the holy faith and to present a synoptic view of what was only the germ of the idea in the liturgy so far– to highlight and present to the whole world what the Fathers of the Church wrote about, what the author of the Liturgy meant and what the great human misery needs today. The intuition of the simple nun, who only knew the catechism, the intuition regarding the things that are so subtle, so accurate and matching the psychology of contemporary society can only be explained by supernatural action and enlightenment. Many theologians who studied for a long time could not, even approximately, solve the difficulties as accurately and easily as Sister Faustina did. It is true that in Sister Faustina’s soul supernatural action was sometimes accompanied by her human, fairly fertile imagination and, as a result, she unwittingly slightly distorted certain things but it happened to all people of this kind, for example to Saint Brigid, Catherine Emmerich, Maria de Agreda, Joan of Arc. This is how the discrepancy between Sister Faustina’s account of how she was admitted to the convent and what the venerable Mother General, Michael Moraczewska, claimed, and maybe also her other descriptions in the Diary, can be explained. Anyway, these things happened a long time ago, both sides could forget about them or slightly change what had happened and what is not the heart of the matter. The results of Sister Faustina’s revelations, both in her soul and in the souls of other people have surpassed all expectations. While at the beginning Sister Faustina was a bit frightened, she was afraid that it would not be possible to carry out the orders and she shirked them, gradually she became calmer, and reached the state of complete security, certitude and deep inner joy. She became humbler and humbler, more and more obedient, united with God and patient, accepting His will in all things totally. I think that it is not necessary to go on at length about the results of the revelations in the souls of other people who have come to know about the revelation because the facts speak for themselves best. The numerous votive offerings (about 150) that have been put close to the image of the Most Merciful Saviour in Vilnius and in many other cities sufficiently prove that graces have been given to the worshippers of Divine Mercy both in the country and abroad. From all directions I am receiving news that Divine Mercy has heard people’s prayers wondrously, which is sometimes clearly miraculous. To sum up, we could easily draw a conclusion, however, since the final decision about this matter is to be taken by an infallible institution in the Church, we are submitting ourselves to it completely and waiting for the verdict most calmly.